The MIKE Series Pendant Control Station is the latest offering from TER aimed at providing the material handling marketplace with an updated device that has end user requirements in mind. 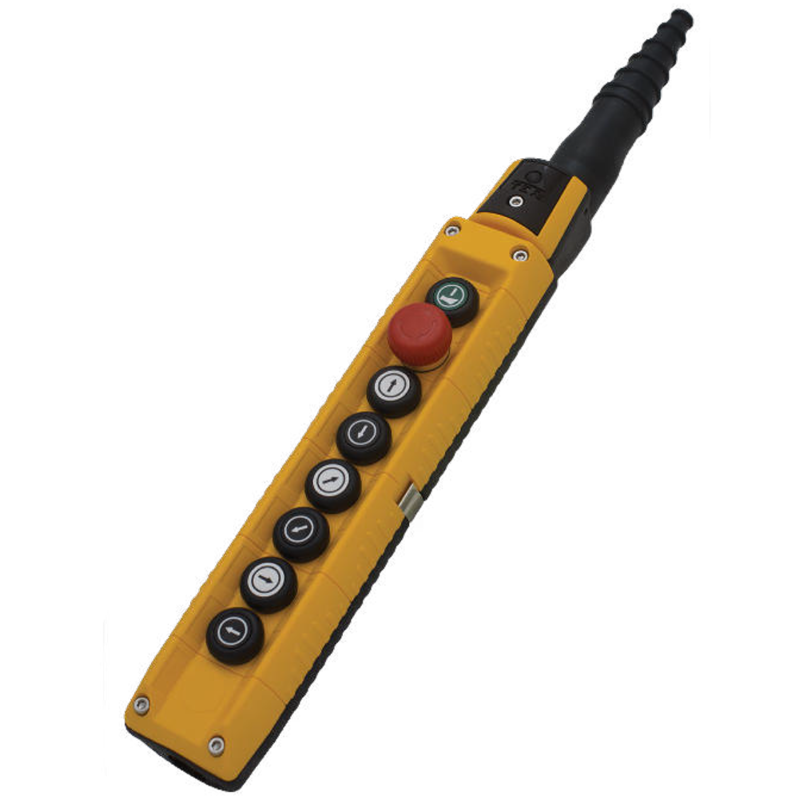 MIKE Series controllers have been designed with emphasis given to Safety, Customization and Quality. The MIKE is available in 4-15 button configurations, offering both single and two speed actuators, and up to three contacts per actuating position. By mounting the cable inlet and switches to the base, and mounting the actuators to the cover, we’ve made wiring up the MIKE easy and clean. In addition, MIKE Pendants can be outfitted with a variety of accessory items such as potentiometers, illuminated selectors and push buttons, as well as key operated actuators. Ask us how we can customize a MIKE Pendant Control for you today!